I would like to utilize empty space in my house and there are two areas I would like to add extra drawers for my family. I would imagine a possible soft pulling cloth on the top or bottom of both sides to pull open so it wont hurt or cause you to fall when you walk up the stairs. How can I structurally and efficiently execute this improvement in the steps? Should I reinforce the steps to accommodate for the weight of the drawer, contents, and slider? I debated to save time and hassle to go to Lowes/Home Depot and buy unfinished kitchen drawers and remove the drawers with the hardware and create a template for the opening. Would that be a good idea? I have searched for many tutorials and DIY projects but nothing that discusses structure, orweight popup. I have debated buying unfinished kitchen cabinets and muddying them in. Any advise or guidance would be great. I mentioned both the steps and underneath because I thought the focused on both areas which may result in similar answers. 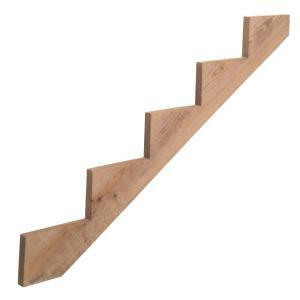 Stringers are the zigzag style angled beams that hold up conventional stairs. They are used on each side ot the staircase and sometimes in the middle as well. They hold up the treads and the risers (the vertical boards) are attached to them. 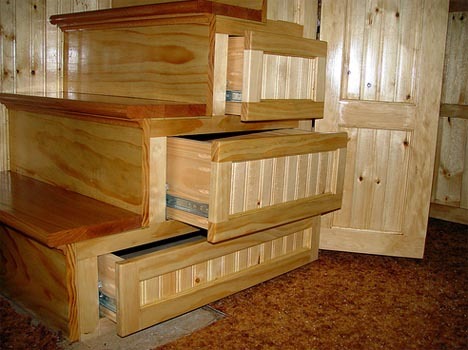 Image 1 is basically floating treads on the stringers and using the risers as faces of drawer fronts. As the comments reflect, this is easily done when building a staircase, but quite difficult to retrofit. It also won't work if your treads are wider and there is a stringer (or the need for a stringer) in the middle. Image 2 is a hybrid. 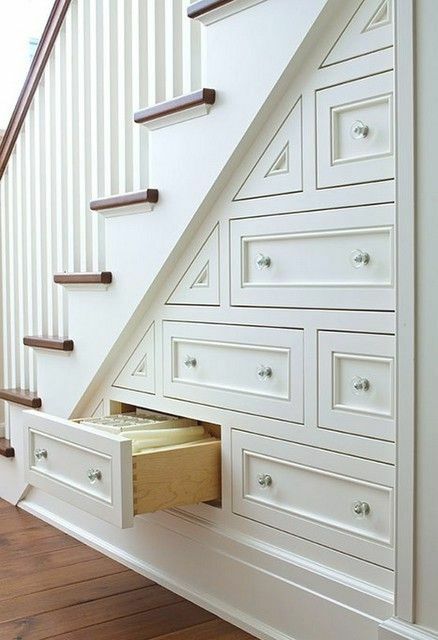 There are no stringers on the near face of the staircase in the area of the drawers, and none in the middle. There may be conventional stringers above that level. It appears that there are horizontal and lateral supports built around the drawers and supporting the treads in place of stringers. 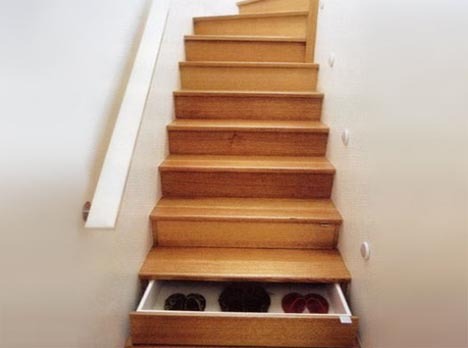 Again, something that can be done when building a staircase, but not practical as a retrofit. Image 3, based on a comment by John Smith, leaves the staircase intact, preserves the supporting stringers and gives you flexible storage possibilities. The weight of materials in the drawers is not really a consideration unless you plan to store gold bars or some other really heavy materials. The weight of people on the stairs is much greater than any strain from linens or even books. I guess I don't see what the problem is. A stairway's structure is the stringers and treads. The rest—risers, sides, and underneath—is decoration. The steps and stringers have to be strong enough to hold a lot of dynamic weight, typically thousands of pounds. Adding a few hundred pounds of static weight in drawers isn't going to be a problem unless there was one to begin with. Putting a cabinet underneath has nothing to do with anything. Not the answer you're looking for? Browse other questions tagged finishing stairs drawers or ask your own question. How to make drawers soft close? Is fixing these stairs as simple as just replacing the stairs and supports? What is required to enclose and finish my basement stairs?